Product prices and availability are accurate as of 2019-04-16 07:33:25 EDT and are subject to change. Any price and availability information displayed on http://www.amazon.com/ at the time of purchase will apply to the purchase of this product. 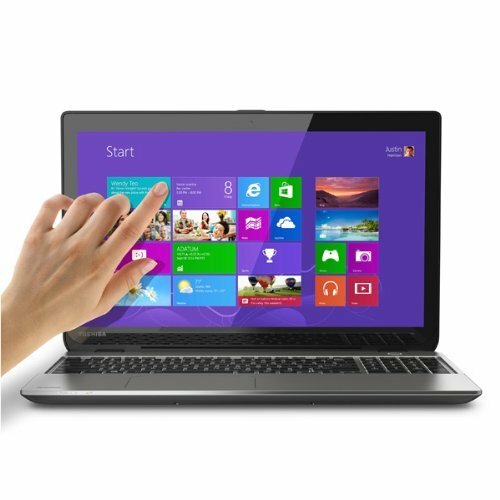 Offering big-screen mobility and standout performance, the Satellite E50 Series is a light, full-featured laptop. Touch-optimized to enjoy the latest Windows experience, it delivers a brilliant 15.6-inch HD touch display and stylish design. * 4th Gen Intel Core i5-4200U processor, 3MB cache 1.6GHz processor speed with Turbo Boost up to 2.6GHz. * 4GB DDR3L memory, For multitasking power, expandable to 16GB. With TruBrite technology, native support for 720p content and 1366 x 768 resolution showcases movies and games in stunning clarity and enables easy navigation of features. For easy portability. Raised-tile, LED-backlit keyboard allows comfortable typing, even in low-light conditions. * Brushed-aluminum finish in smart silver offers a stylish appearance.